Lake Chuzenji, Nikko, c. 1910. 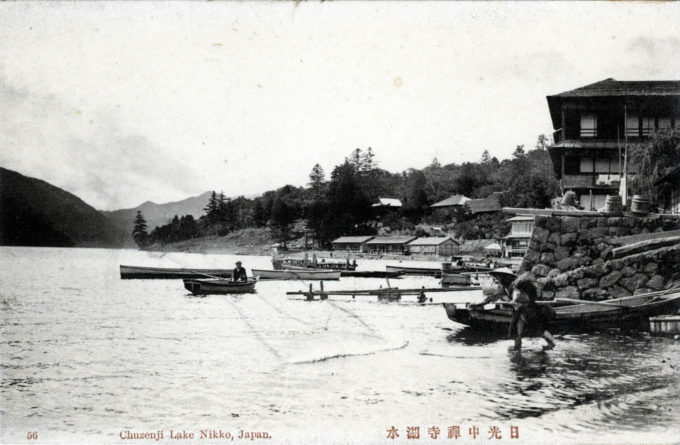 Chuzenji Lake, Nikko, c. 1910. “Lake Chuzenji lies at the foot of Nantai-zan, being surrounded on the other sides by comparatively low hills covered with trees to their very summit. Its greatest length from E. to W. is estimated at 3 ri, its breadth at 1 ri. Soundings show the extraordinary depth of 93 fathoms, shallowing down towards Senju and more rapidly towards Kegon. “The lake, formerly devoid of life, now abounds with excellent salmon, salmon-trout, iwana, and other fish, with which it was stocked between the years 1873 and 1890 by the Japanese Government. The salmon and salmon-trout can only be taken with rod and line, whilst the iwana, a species of white trout which never come to the fisherman’s bait, are taken in the nets. The height of Lake Chuzenji above the sea is 4,375 ft.
“[O]wing to the steepness of the hill which has to be passed on the way, ladies and persons un able to walk often take ‘chairs’ or horses. 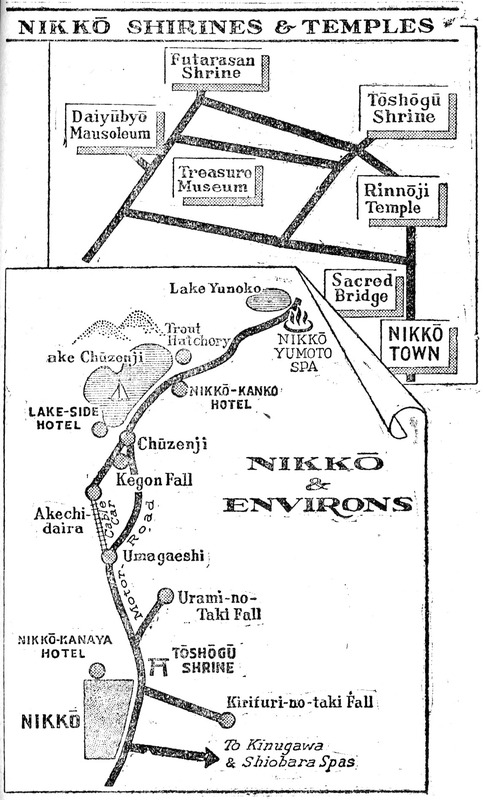 Persons pressed for time may easily go to Chuzenji and back in one day; it is even possible for a sturdy pedestrian, by making an early start, to do the whole distance to Yiimoto and back within the limits of a day. 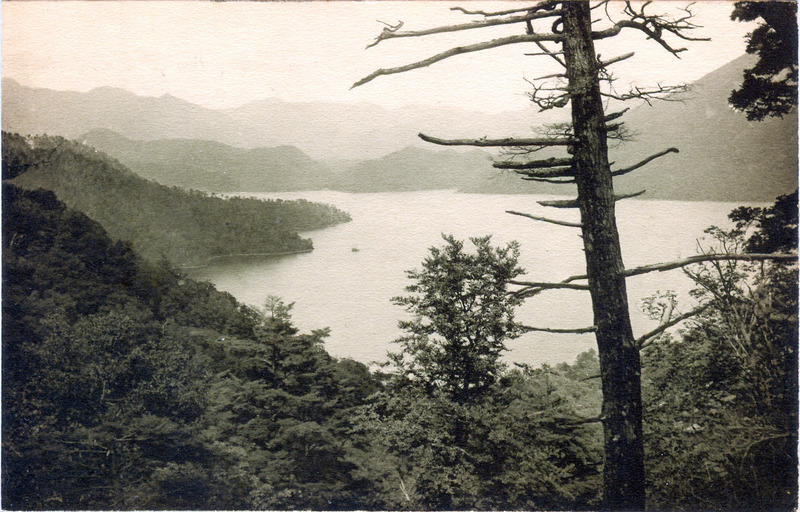 Lake Chuzenji, Nikko, c. 1920.